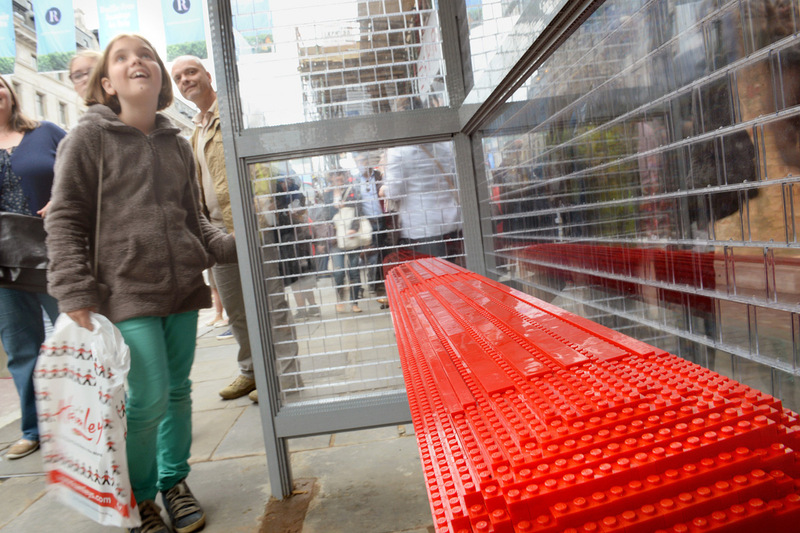 LEGO is everywhere at the moment -- and in London this summer, you can even visit a bus stop made of the iconic Danish blocks. Built by the UK's only Certified LEGO Professional, Duncan Titmarsh, to promote Transport for London's "Year of the Bus," the bus stop is made of 100,000 bricks and sits outside Hamley's toy store in London's Regent Street. It will be there for four weeks, and will be part of a parade this weekend called the "Regent Street Bus Cavalcade" involving fifty buses from the earliest horse-drawn model of the 1820s right up to today's New Routemaster designs.